When you think about the dangers associated with public transit you might imagine horrifying accidents involving electrified rails and trains barreling out of control through busy intersections. But most pedestrian accidents in San Francisco involving public transit are much more commonplace and—therefore—even scarier. While San Francisco doesn’t have an extensive underground network like other cities on the East Coast, it is serviced by 54 bus lines (and several other train/trolley lines) crisscrossing the city. While most of the daily routes go off without a hitch, all it takes is a momentary lapse in concentration, one poor decision, or an unforeseeable accident to cause significant bodily injury and death to innocent bystanders. Buses are the dinosaurs of the street. Each of these massive machines can carry dozens of passengers, move freely through traffic, and demands respect from other drivers. But the system isn’t foolproof. In fact, the pressures placed on bus drivers to maintain a cramped schedule while dealing with the hustle and bustle of busy city streets puts thousands of pedestrians squarely in the crosshairs every day. Each public transportation bus weighs roughly 30,000 pounds and travels at 20 to 30 miles per hour through San Francisco’s most populated neighborhoods. At those speeds a bus can roll dozens of feet before it stops even after the driver has applied the brakes! Even more terrifying—many bus drivers who cause pedestrian accidents in San Francisco don’t even see the people they hit. It’s often passengers on the bus or pedestrians or drivers in the street who actually see the collision and get the driver to stop. Why? Unlike most passenger cars, public buses have massive blind spots into which pedestrians and bicyclists can disappear. And if a collision does occur, passengers on the bus may not even feel it. In fact, just recently a bus passenger using a wheelchair was killed in a fatal pedestrian accident in Oakland just seconds after getting off a paratransit bus. The driver allegedly didn’t see the individual and simply drove over them, dragging them for an estimated 20 feet before coming to a stop. Unfortunately, the number of fatalities caused by public buses throughout California remains far too high. Part of the problem stems from the growing population in California’s biggest cities. With more people the need for mass transit increases. However, more buses and more pedestrians on our streets dramatically increases the chances of collisions. What Can Be Done to Prevent Bus/Pedestrian Accidents in San Francisco? San Francisco has made a significant commitment to pedestrian safety with ambitious plans to redesign some of the busiest streets and intersections in the city. Part of that overall plan includes increasing bus safety. Pedestrian loading areas, curb bump-outs, and more visible signage play an important part in this plan but they may not be enough to make a significant impact. A comprehensive system which includes increased enforcement of traffic laws (and stiffer penalties for violators) combined with enhanced safety education for all public bus drivers is the best way to keep pedestrians safe. And we can’t discount the fact that pedestrians have a responsibility to keep themselves safe as well. Until that multifaceted approach reaches critical mass, people will still get hurt. People will still need help. 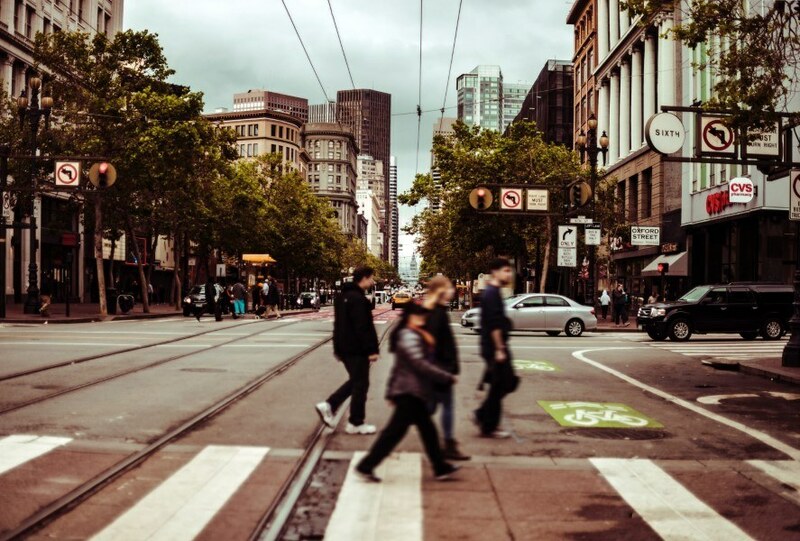 If you’ve been seriously injured in a pedestrian accident in San Francisco or Oakland involving one of the hundreds of city-owned and operated buses, you need an experienced San Francisco pedestrian accident lawyer on your side. The attorneys at Sally Morin Personal Injury Lawyers have been helping injured victims get the compensation they deserve and put the broken pieces of their lives back together for over a decade. Need help now? Experience the difference having the best pedestrian accident lawyer in San Francisco on your side makes. Call Sally Morin at (415) 413-0033 today or submit your case online.